PENTAX Medical today introduces DEFINA, a new advanced high-definition (HD) imaging platform for enhanced ENT diagnosis and therapy in the European, Middle Eastern & African (EMEA) markets. This preview is taking place to a select group of partners on the 8th June 2016, the day before the 11th Congress of the European Laryngological Society, at the Porto Antico di Genova, Italy. 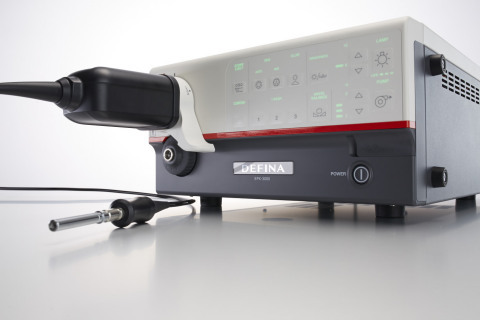 The new DEFINA endoscopy system incorporates HD, high performance VNL-J10 Scopes, designed for all advanced flexible endoscopy ENT examinations, and the DEFINA HD video processor equipped with i-scan imaging technology. The system will be available throughout the Congress for live demonstrations and discussions with our experts. By combining a crisp and sharp high quality image with i-scan image enhancement processing technology, the new DEFINA system empowers a wide variety of ENT applications. These include: advanced diagnosis, fiberoptic endoscopic evaluation of swallowing (FEES) and functional video stroboscopy examinations. 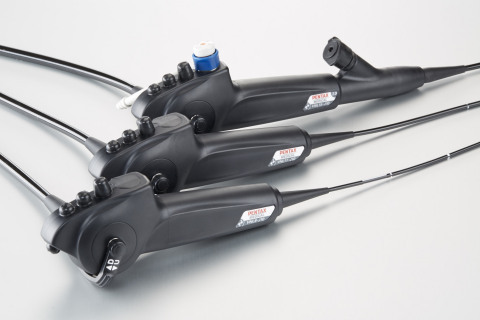 DEFINA incorporates the latest HD chip technology and an improved design of the distal tip allows enhanced light distribution and the system offers excellent therapeutic options through the endoscope’s working channel. Patient comfort is improved by DEFINA as its scopes offer the smallest outer diameter to provide better tolerance. Improved tapering of the distal end optimizes insertion, whilst the endoscope is also very easy to control with user friendly ergonomics provided by a newly designed control body and flexible light guide cable. As DEFINA incorporates the very latest technology and design ensuring enhanced diagnosis and treatment that is both safe and reliable. The new mechanical design of the instrument channel enables the smooth insertion of endoscopic devices, whilst a bifurcated umbilical cable enables stroboscopy. Optimised for both patient and user safety, the system uses an innovative single-use suction control valve design and is STERRAD® sterilisation system compatible, ensuring the highest standards in hygiene and reprocessing. PENTAX Medical is a division of HOYA Group. Its mission is to improve the standard of patient care and quality of healthcare delivery by providing the best endoscopic products and services with a focus on QUALITY, CLINICALLY RELEVANT INNOVATION, and SIMPLICITY. Through leading edge R&D and manufacturing, PENTAX Medical provides endoscopic imaging devices and solutions to the global medical community. Headquartered in Japan, PENTAX Medical has a worldwide focus and presence with R&D, regional sales, service, and in-country facilities around the globe. For more information, please visit: www.pentaxmedical.com/EMEA.